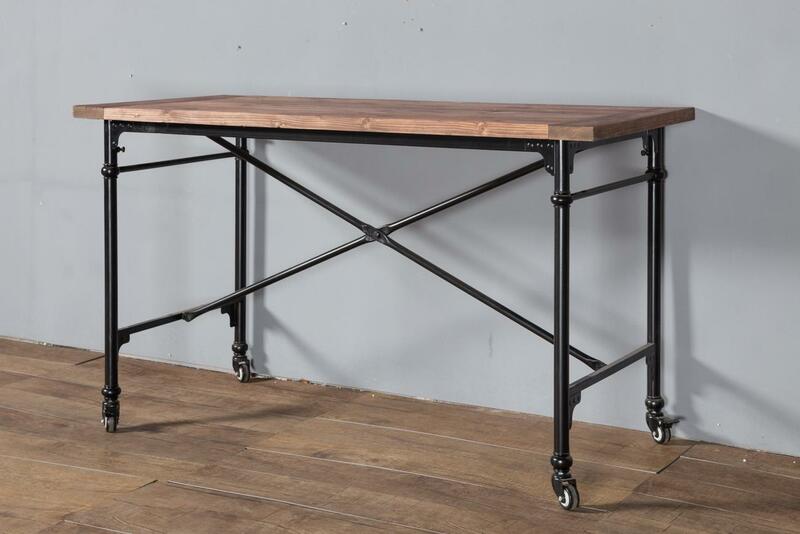 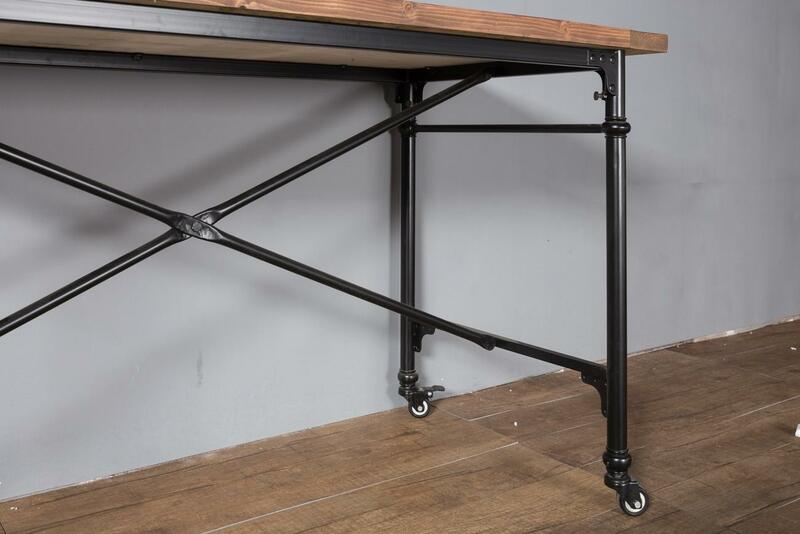 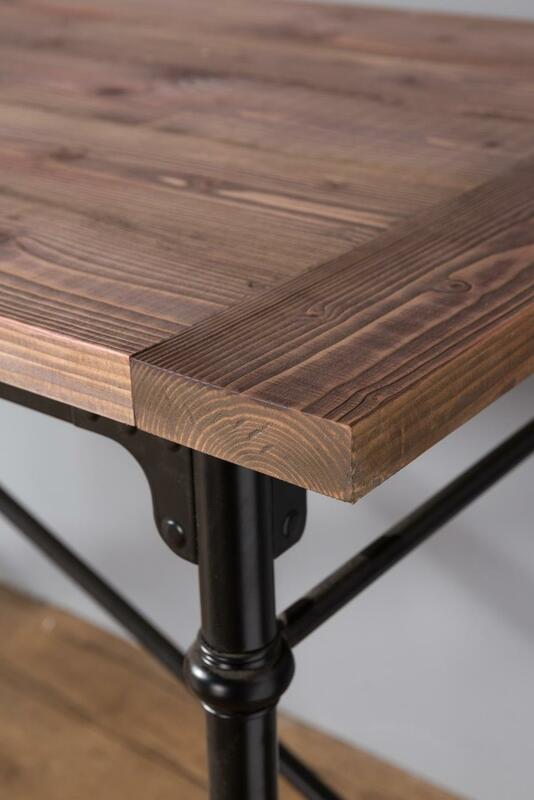 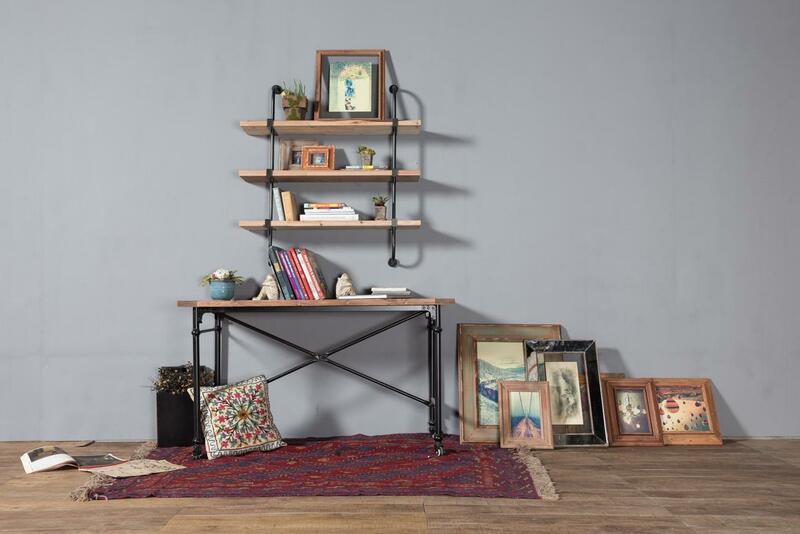 The LOFT workbench is made of round iron pipe and pine wood drawing board. 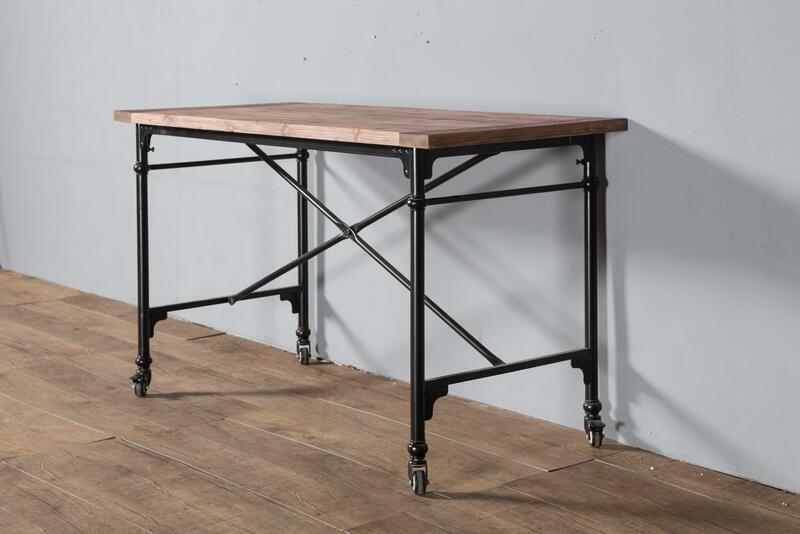 The dimensions are 1400 mm long, 650 mm wide and 785 mm high. 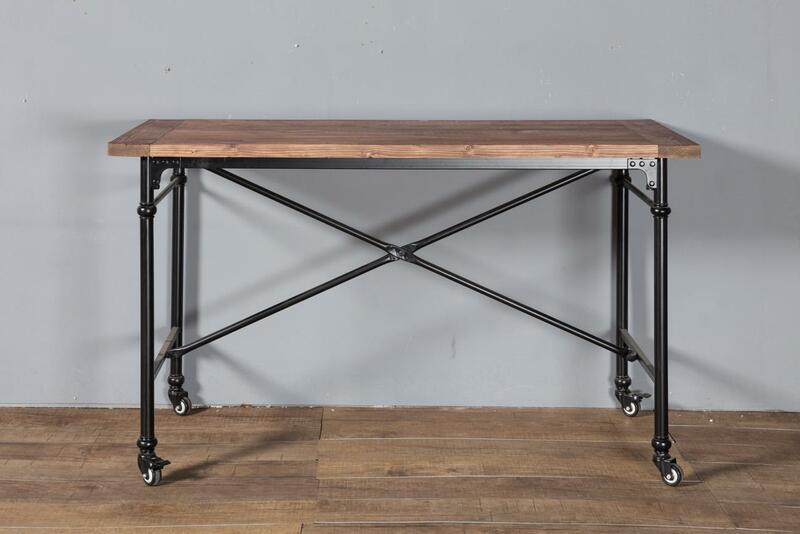 It is an industrial retro style. 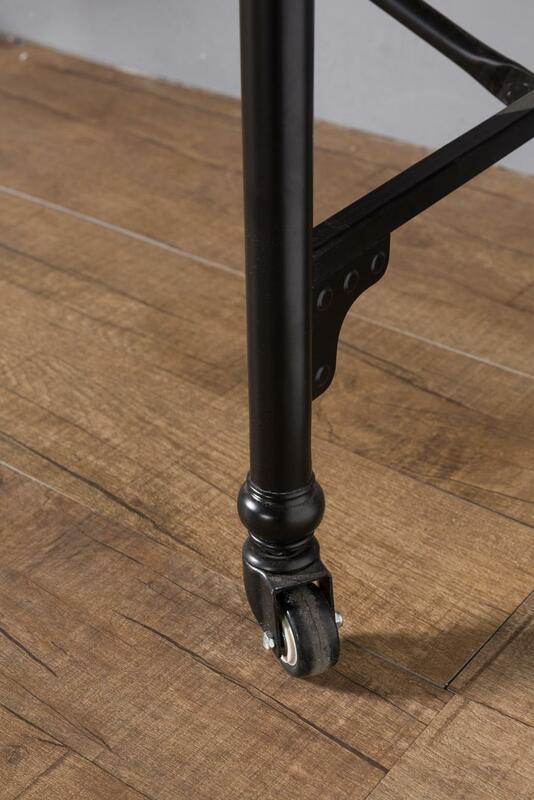 With 4 wheels, it is convenient to move.